I want to start today’s post off by saying how sad I was to hear of the death of fashion genius Alexander McQueen. He was our first ever customer, a true fashion icon and a permanent inspiration to me and millions of others. To get an endorsement from him all those years ago when I was just starting out was something I shall never forget. He followed his heart and his passions, ditched convention and delighted and enchanted women around the world with his incredible designs. I have been utterly inspired by his work and in my own small way will always try to follow his mantra. This got me to thinking about some of the most iconic McQueen moments. There are many, but again and again I kept coming back to the red designs. It’s a colour I don’t decorate with enough frankly, but I was thinking we should all try and introduce some more splashes of red into our homes and our lives. 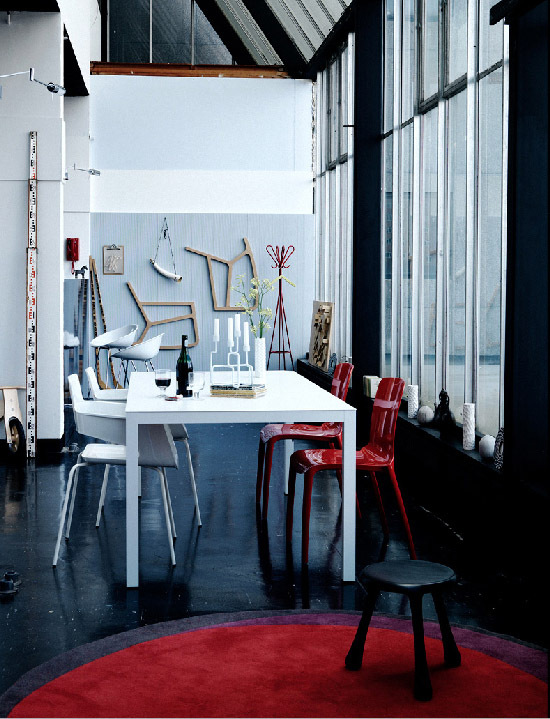 Red like no other colour gets the pulse racing, particularly when partnered with dark sludgy walls or inky floors. It’s an intriguing colour which demands attention, plus its energising so you could in fact burn calories by simply looking at it (or so I like to think!). I shall leave you all with the beautiful images of McQueen’s creations, and wish you all a very happy Valentine’s weekend.